Two killings in as many months have shocked Mongolian LGBT community. A gay male of forty to fifty years of age who went by a nickname S. in the community, a dentist by profession who had a practice in Zuunkharaa town, Selenge province, was found brutally murdered sometime in January 2011. Although the murder took place over two and a half months ago, no definitive headway has been made in the case, and no reports of investigation have been made public. 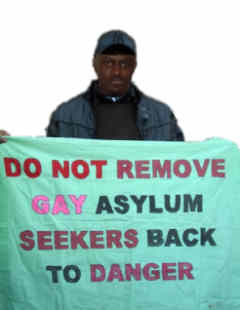 Another member of the community, an HIV positive bisexual male E. of forty to forty five years of age, one of the founders of a community-based non-governmental organisation working for HIV positive people, went missing at the end of February 2011. According to the reports from the community, his mutilated body was found on 24 or 25 March 2011: his right hand was cut off and his body was burnt. Although it is obvious that these are hate crimes, police questioned only gay and bisexual males in the city in relation to the latest murder as the gay and bisexual males are immediately considered automatic suspects in such cases. The OSCE definition of hate crime is clear: they are "criminal offences carried out against people or their property because of their real or perceived connection, attachment, affiliation, support or membership of a group. A group may be based upon characteristics such as real or perceived race, national or ethnic origin, religion, mental or physical disability, sexual orientation, or other similar factor".